The popular indie magazine Side-Line Magazine had already published a story earlier telling that the complete singer switch was just a hoax. On July 17, 2007, Rammstein’s Management, Pilgrim Management contacted The Gauntlet and stated that Till’s departure is indeed a hoax. With all the new developments since the birth of the rumor on July 16th, the questionable departure of Till Lindemann can finally, and safely, be assumed as a hoax. As for the reasons behind it, that is uncertain at this point; however, the uproar it has created throughout Internet with many of the fan websites have proven the effect of this rumor. Even reputable sources throughout the Internet helped to spread this questionable source which sparked even more controversy as the story grew. The hoax’s effect seems to be widespread upon the emotions of many fans. Some reacted with immediate disbelief and utter shock and others took to desperation; nevertheless, most fans had no doubts in the fact that the rumor was false. As this is a developing story, neither Rammstein’s, nor Pilgrim Management’s official websites are updated with any official information on the hoax. 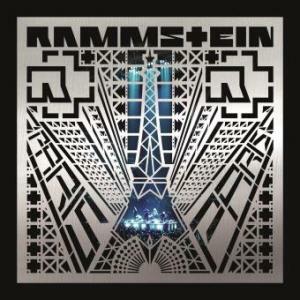 As of July 19, 2007, rammstein.de has released an official notice from Emanuel Fialik stating that Till is in fact still a part of Rammstein; therefore, completely nullifying the rumor entirely. The message is in German, but it is a summarized notice aimed to be an amelioration to the fans who needed a final assurance that everything was well with Till and his position in the band. The notice is translated to say that Emanuel Fialik, the executive manager of Rammstein, has announced that all rumors concerning Till leaving are completely false. He even goes on to say, jokingly, that En Esch was even more shocked by just the prospect of being in Till’s shoes. I hope that Till will remain with his colleagues. I hope that this is just a rumor , an unfounded one! Rammstein is a great band , I just love them. I feel great emotions when I listen to their songs. Par example , how could you stay untouched when you listen ,,Ohne dich”?!? Till , if you read this , don’t leave us! Don’t leave Rammstein! Keep up the good work because you are a great team! And please , come again in Romania! Best wishes! Your big fan , Andrei! OMG thank god that was a hoax i was crying!!!!! Thank you Emanuel Fialik for telling us the rumor was just a big fat lie. Till if you ever read this, we love you. Don’t ever think about leaving the band. You’ll upset too many people. It’s so funny to see how fans believe in everuthing they read or hear! Haha human beings always makes me laugh! Since the rumour did alarm people that Till Lindemann would leave Rammstein after the release of the upcoming album, we are pleased to inform you that after consulting Rammstein manager Emanuel Fialik, the so-called news turns out being a fake. Everything starting with the “With all the new developments…” was written by me. I hope it helps to bring an end to all of this. I hope you guys like my Wiki page updates. I was on top of the thing here in the forums and everywhere else. I just needed to disprove this rumor. Kingrammstein… did you not read the article? Nooo can be possible!!! !noo do it till!!! plz!!!!! wtf!